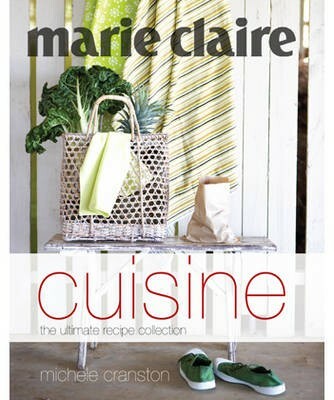 Marie Claire Cuisine is the ultimate companion for the time-poor home cook who wants light and healthy food that appeals to the eye as well as the palate. Cooking fresh ingredients simply is the essence of Michele Cranston's philosophy, and in this book, she equips cooks of all skill levels with all the basics from breakfast to dessert. Key points: extensive collection of basic recipes and techniques, from scrambling eggs to making meringues; an essentials section within each basic section provides key information on fresh ingredients, luxury pantry items and flavour combinations; covers food for every occasion including afternoon tea and cocktails as well as breakfast, lunch and dinner.